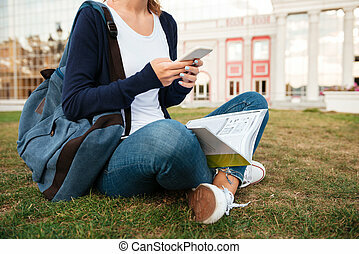 Portrait of a young beautiful asian student with university building in the background. 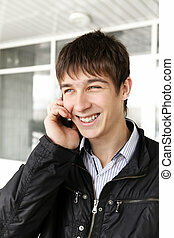 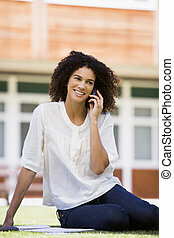 She is saying by phone. 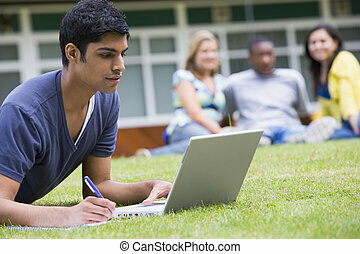 Portrait of a young smiling asian student with university building in the background. 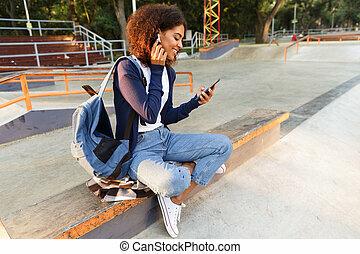 She is saying by phone. 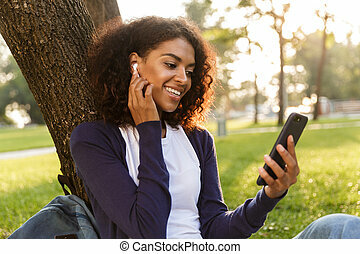 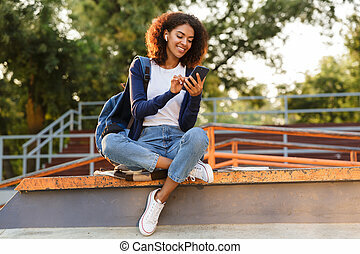 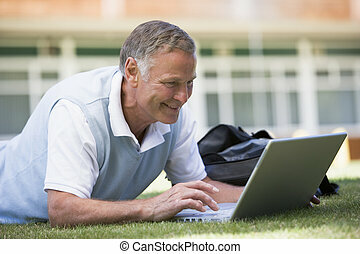 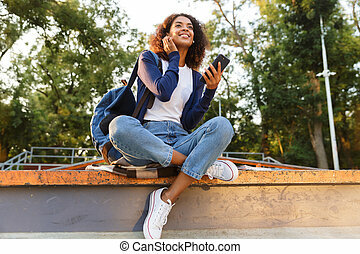 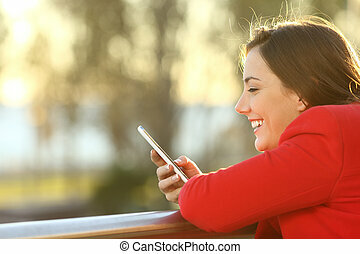 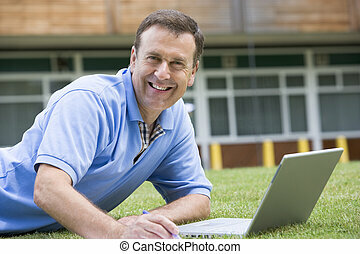 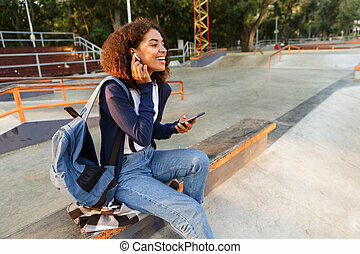 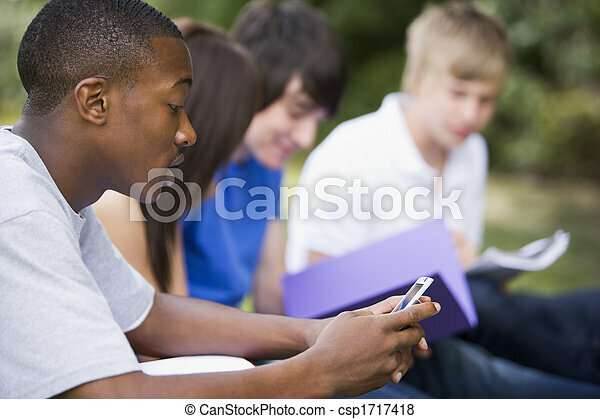 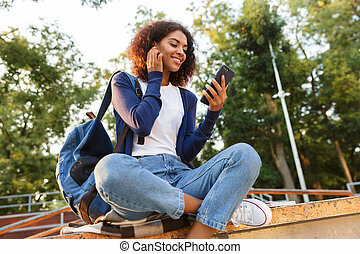 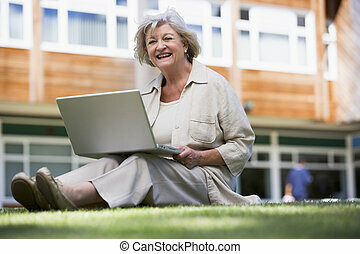 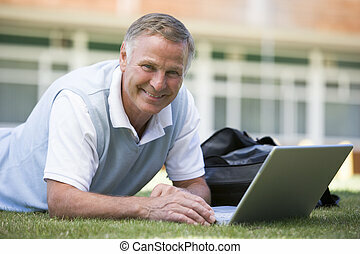 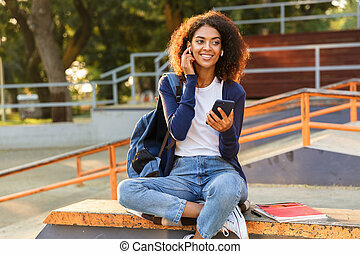 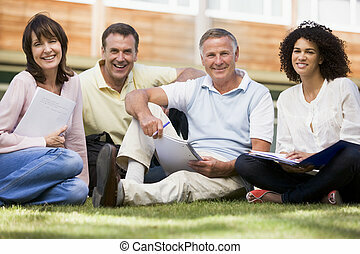 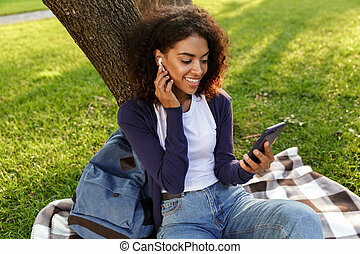 Image of happy african young woman sitting outdoors in park using mobile phone listening music with earphones. 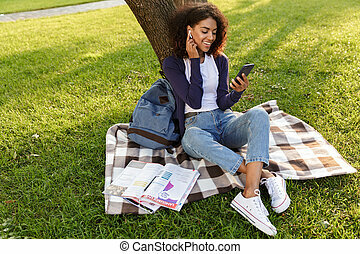 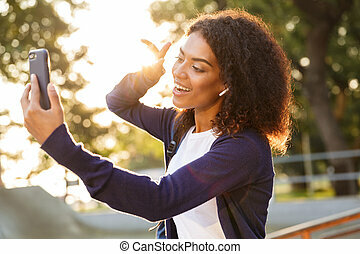 Image of happy african young woman outdoors in park using mobile phone make selfie with peace gesture.